As I wrote earlier – the most important is to begin. I rented boots, skis and seals skins (obviously artificial, since these nice animals are protected) during the winter in Grimentz in 2013. I stuck the skins on the bottoms of skis and headed up the hill. 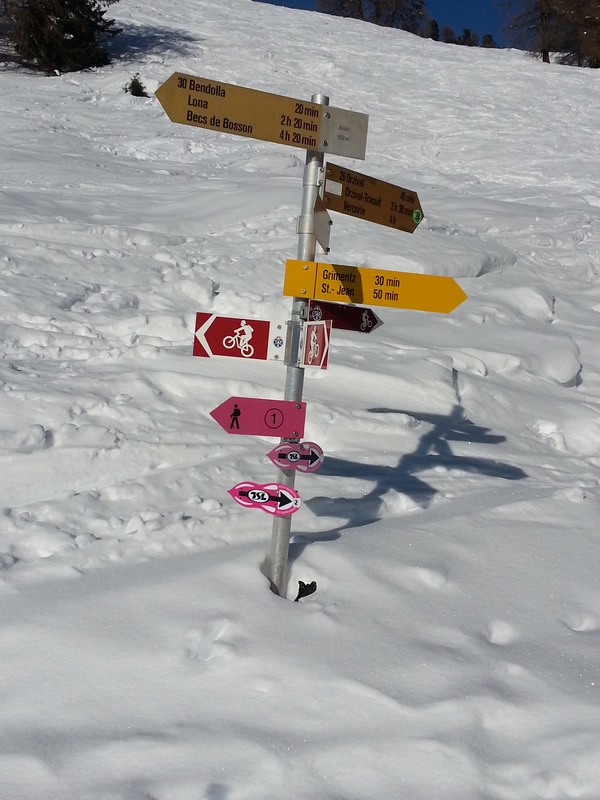 It was not long and I realized that I have to move the skis sliding forward, and not raise the legs as a normal walking. Amazing feeling when approaching uphill skis do not slide down back but are locked due to the seals skins (obviously artificial, since these nice animals are protected). In addition, on the very steep approaches it is possible to support the heel using the stand in the binding and then the foot is set flat not down like the skis are. 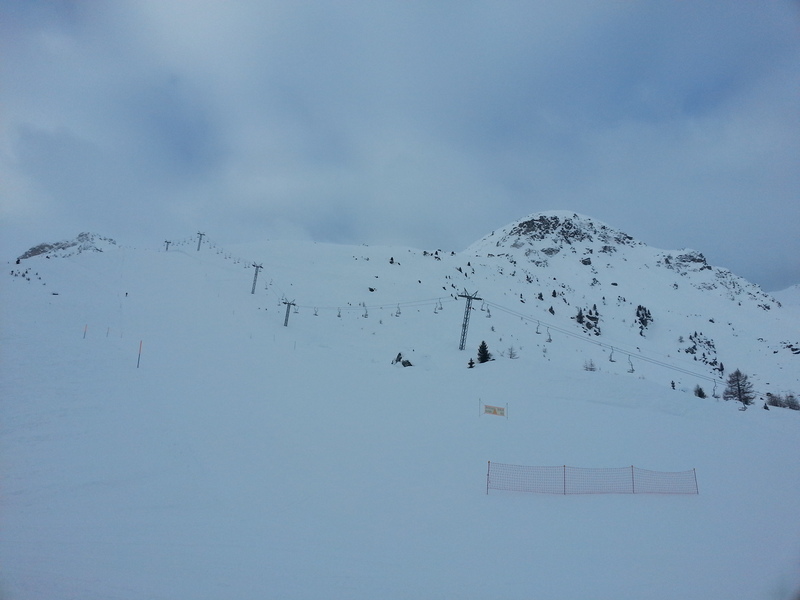 It was my first time, so I stumbled and rolled up, but the skis and bindings worked flawlessly. For those few days I was getting up early in the morning, even in the dark and climbed to the top, to ski in peace and quiet down when the ski lifts have not yet started. 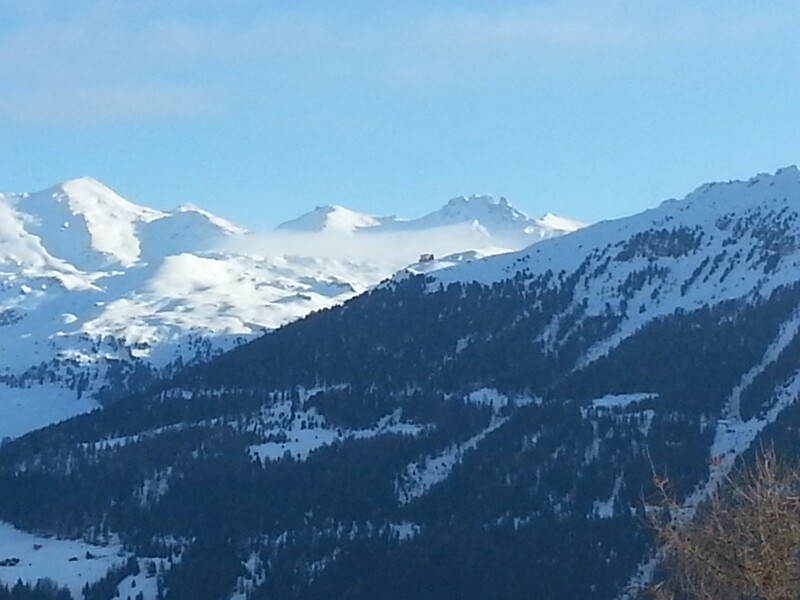 Once I was able to participate in a trip with the ski club, which began at 6 am and ended with tasty breakfast in the restaurant at the top, where only after several hours “normal” skiers appeared. Intoxicated by the beauty of this sport I bought a set of ski-tour equipment to climb already using my own staff during the next winter. I bought it in Poland in the sports shop “BACKFLIP snowboards.” The store is located away from the city center, but it has the latest and branded products in a huge selection. The service is friendly and professional. 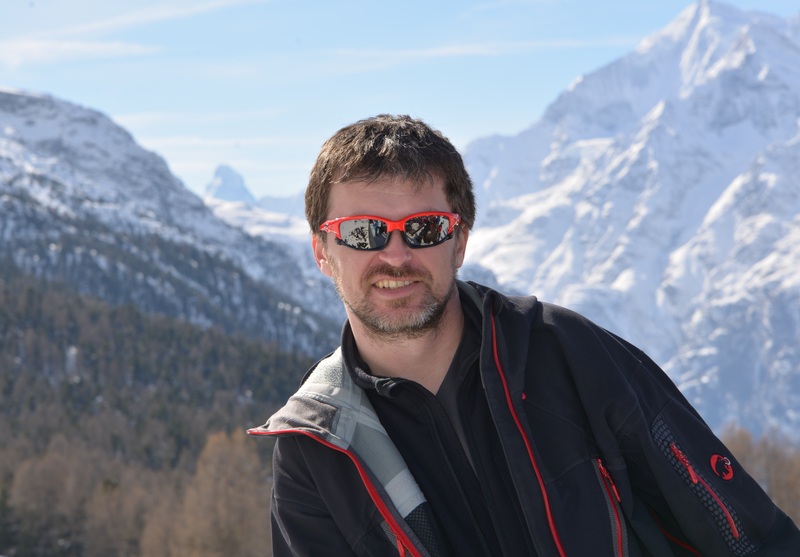 Before I chose skis and boots I listened half-hour lecture what is important when choosing equipment for ski-touring. In the end I decided to K2 skis and skins (obviously artificial, since these nice animals are protected), Marker bindings and Black Diamond boots. 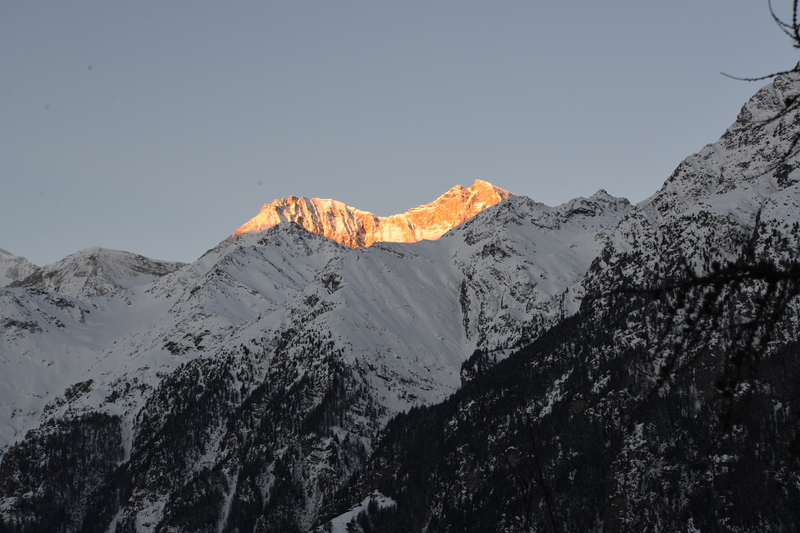 This year, I started the trip in Grächen about 6 am. Skis were attached to winter backpack Mammut Nirvana Pro 35. 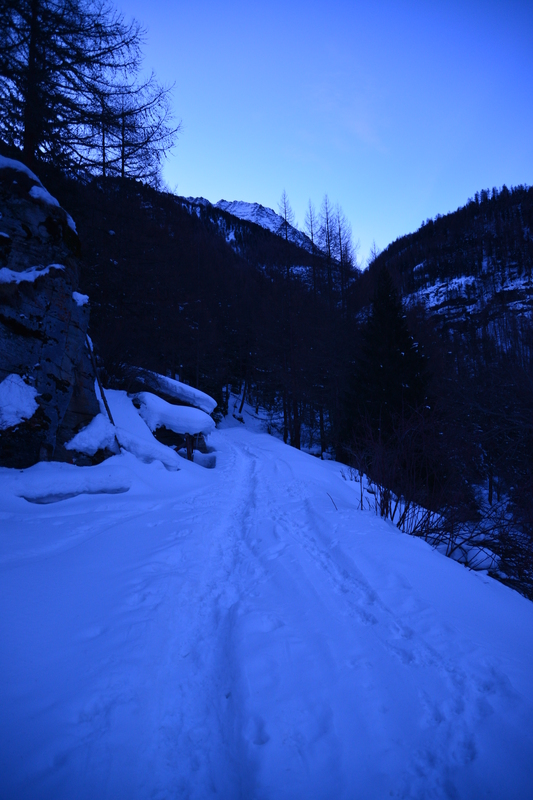 I had ski-touring shoes on my feets and the front lamp on my head to illuminate the darkness. About 30 minutes I walked up the asphalt road until I came to the village Gasenried. Then I stepped into the snowy woods and I could wear my new skis with seals skins (obviously artificial, since these nice animals are protected). It was fantastic. 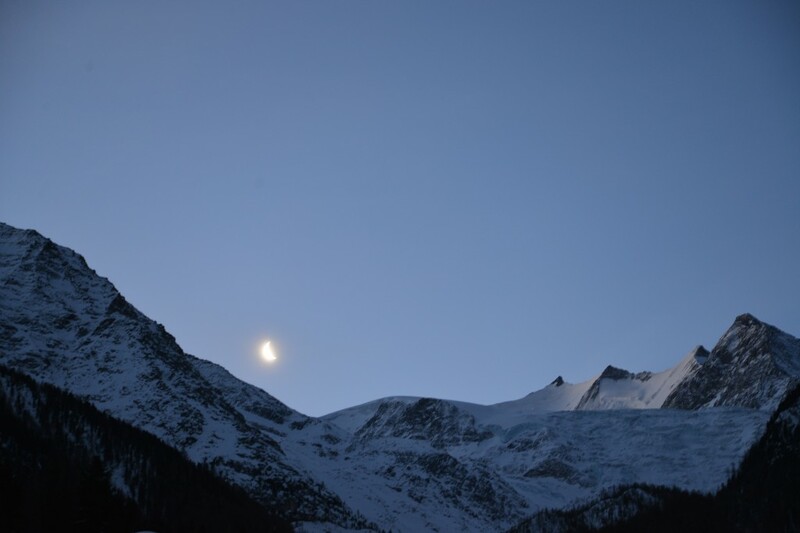 Silence, fresh snow, croissant moon over the mountains. Unfortunately I did not get far. As is usually the case with the novice hiker, I just stumbled and slide a bit from the slopes. 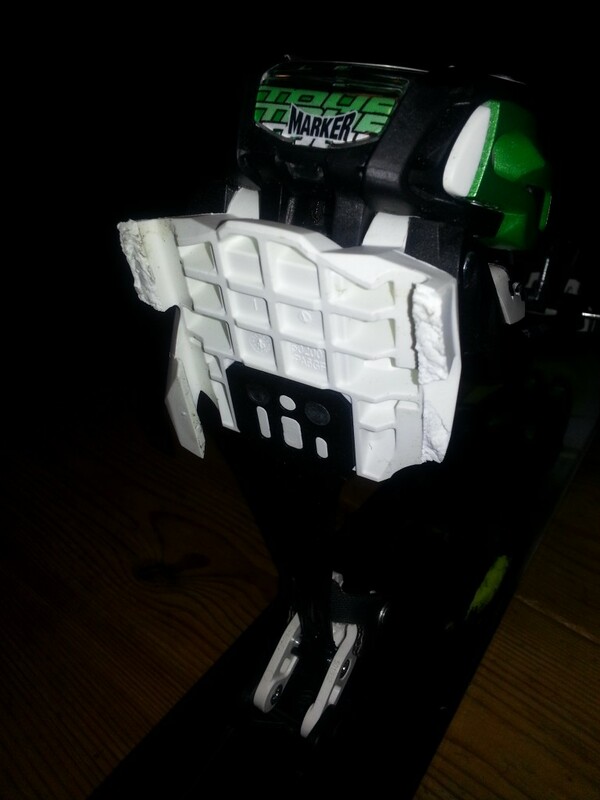 When I got up, binding was not attached anymore to the skis, only loosely dangled apart. I put then skis on the backpack again and went down per pedes, which was not easy in this fresh, soft and deep snow with the ski boots. I can include this event as tiring, but interesting adventure. What I am interested now is a matter of the complaint of a broken binding. 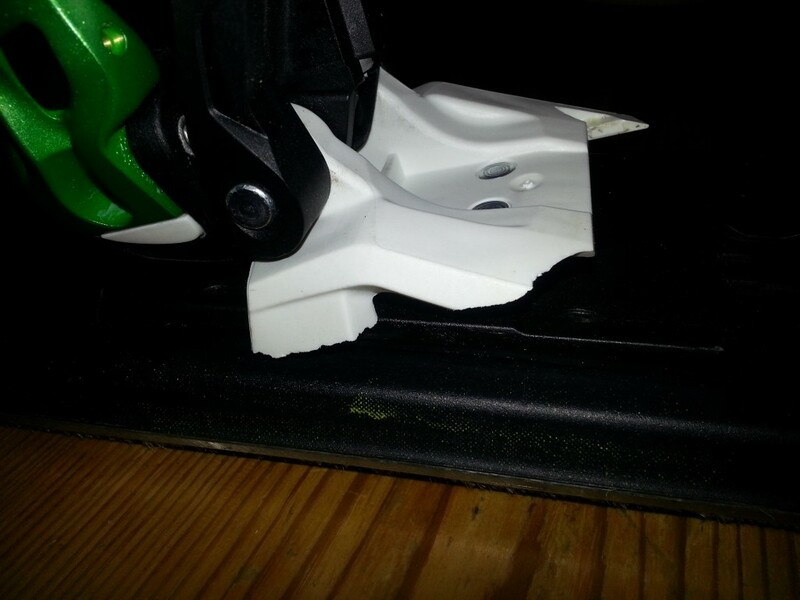 I contacted by e-mail with Konrad Pajka, the owner of the store “BACKFLIP snowboards”, describing the situation and enclosing photos of the broken binding. He agreed with me that the fracture should not occur in the hardware of that class, but the decision about the possible repair/replacement does not depend on him but on a quality expert in Marker enterprise. So he sent my email with photos to the distributor of Marker in Poland.